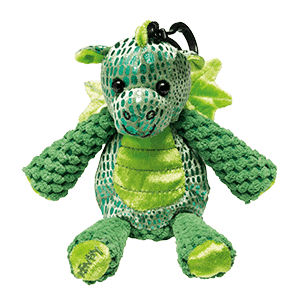 Scout the Dragon – Clip-on, collectible and oh-so-cute, these fuzzy friends are filled with scented beads that deliver kid-friendly fragrance anytime, anywhere. Great for backpacks and bedrooms! Buddy is polyester with a polypropylene clip. Spot clean. Fun fact: When dinosaur bones were first discovered, they were rumored to be dragon bones. Ambition: To bring back Dungeons & Dragons!